The Upper Main Line YMCA (UMLY) is seeking an experienced person to work a full-time combination position of lead coach for our 9-12 year-old age swim team groups and head guard. The candidate will play an integral role on our both our Aquatics and Competitive staff team. Our team is nationally ranked in YMCA swimming, having just placed 4th at short-course Nationals. We also maintain USA Swimming Bronze Level recognition. The successful candidate will oversee the training and development of our age groups 2 and 3 and fill strategic head guard hours. This person will be responsible for leading part-time assistant coaches and lifeguards. Hours will vary. Qualifications: Age group coaching experience - 3 years preferred. ASCA level 3 certification or equivalent preferred. Lifeguard certification or ability to secure it (we train). High School graduate with Bachelor’s degree preferred. The successful candidate should also possess strong leadership, communication, organization skills. The candidate must be able to adhere to the YMCA vision/core values. Benefits Include: Vacation, sick and personal time, medical and dental, life insurance, short and long term disability after 90 days of employment. Free Family Membership upon attendance of New Employee Orientation. 12% into the Y’s Retirement fund upon completion of 2 years of employment of 1,000 or more hours in each of those 2 years if you are 21 years of age or older $15/hour plus benefits; paid YMCA/USA Swimming certifications; and reimbursements for meet expenses. Applications will be reviewed as they are received. The Shaler Area Swim Club is hiring for an Assistant Swim Coach. two years of competitive swimming required must be energetic and excited to work with young swimmers previous swim coaching or swim lessons instructor a plus flexible schedule with evenings and some weekends must complete all state clearances as required by law Come check out our club! We work as team in developing swimmers into positive youth in and out of the pool. Souderton Area Community Aquatic Club (SACAC) – Asst. 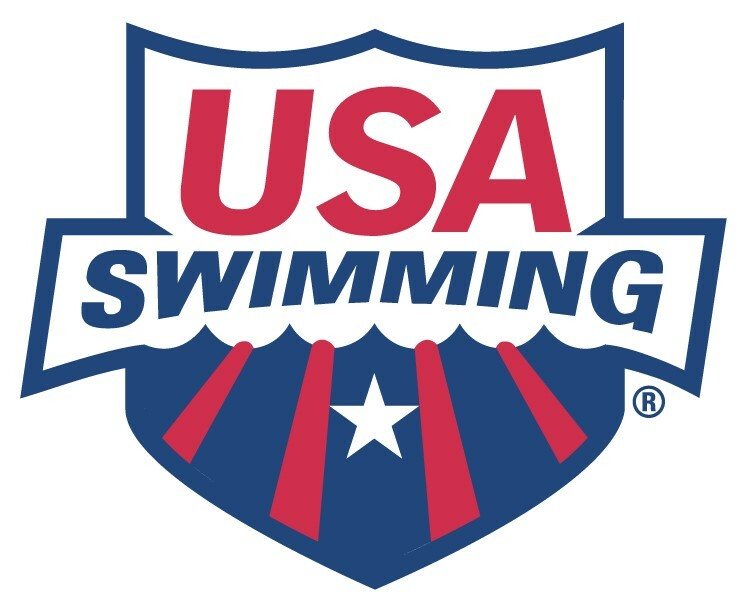 Head Coach- Part Time Souderton Area Community Aquatic Club (SACAC), is an age group and USA Swimming program seeking an experienced assistant coach. SACAC is a member of the Suburban Aquatic League and participates in league dual meets, as well as USA meets. A successful candidate must be able to work with all age group swimmers, as well as, our US program. Qualifications: Strong Leadership skills Competitive coaching/swimming experience Ability to work with various ages and ability level swimmers US Certified or willing to become US certified Experience with Hy-Tek software and Team Unify Availability to attend both dual meets and US Meets Works well with a group This position would begin in late August, 2019. Salary: Commensurate with experience. Please send resume and cover letter to Kristin Kleppinger, Board President soudaquaticsclub@gmail.com . Souderton Area Community Aquatic Club (SACAC) – Asst. Head Coach- Part Time Souderton Area Community Aquatic Club (SACAC), is an age group and USA Swimming program seeking an experienced part time Asst. Head coach. SACAC is a member of the Suburban Aquatic League and participates in league dual meets, as well as USA meets. A successful candidate must be able to work with all age group swimmers, as well as, our US program. Qualifications: Strong Leadership skills Competitive coaching/swimming experience Ability to work with various ages and ability level swimmers US Certified or willing to become US certified Experience with Hy-Tek software and Team Unify Availability to attend both dual meets and US Meets Works well with a group This position would begin in late August, 2019. Salary: Commensurate with experience. Please send resume and cover letter to Kristin Kleppinger, Board President soudaquaticsclub@gmail.com . Parkland Aquatic Club (“PAAC”) is a federal tax exempt IRC §501(c)(3) non-profit organization serving the greater Lehigh Valley region in eastern Pennsylvania. The Lehigh Valley is a growing area comprised of three cities, Allentown, Bethlehem and Easton, forming a metropolitan population of nearly one million people. In 2015, Fortune Magazine named Allentown as one of five cities with an “up-and-coming” downtown. The greater Lehigh Valley has various recreational opportunities: a Phillies affiliate AAA baseball team, the Iron Pigs; easy access to hiking, fishing and mountain biking; Dorney Park and Wildwater Kingdom; State Theatre; Allentown Art Museum; local wineries and craft breweries; and Bear Creek and Blue Mountain Ski Areas. The Lehigh Valley is also home to the Sands Casino and Events Center and the PPL Arena, which houses a Philadelphia Flyers affiliate hockey team, the Lehigh Valley Phantoms. PAAC’s mission is to empower young people to be champions in life through excellence in swimming and diving. PAAC is a USA Swimming Level 3 and Bronze Medal Club. Since the inception of the Club Excellence program in 2010, PAAC has been Bronze level club five (5) times and Silver level three (3) times. PAAC is a year round competitive swim team of over 150 athletes, serving swimmers of all abilities from novice to USA Junior National and Olympic Trial Qualifiers. PAAC has had 7 Olympic Trials qualifiers, 1 National champion, 1 Junior National champion, 4 National Junior Team Members, 2 Junior Pan Pac Team Members, 9 Open Water Nationals/Junior National participants, 25 PIAA Individual State champions, and 32 Scholastic All-Americans. PAAC is in a solid financial position, with a supportive parent-led Board and volunteer group that is committed to providing for the team and supporting the coaching staff in all areas. PAAC is currently seeking a full-time Head Coach to oversee all programs and operations. The successful candidate will design and administer a total aquatics system that emphasizes the progression of swimmers from our youngest, developmental athletes through our oldest, National-level athletes. As a full-time salaried position, responsibilities include, but are not limited to: Management of the team; Direct coaching of swimmers in the National group and other swimmers, as needed. On deck coaching time will range from 18-24 hours per week with additional hours on selected weekdays and weekends for meets; Supervision of the assistant coaching staff to execute programs that allow swimmers to reach full potential and progress through our program to the National level, high school and beyond; Collaboration with the Board to fulfill the strategic plan and mission of PAAC; Coordinating Team travel to out of area meets; Other duties include, but are not limited to: Providing for staff needs; Providing for appropriate placement, mentoring, development, and feedback of athletes; Coordinating training schedules, group placement, advancement guidelines; Overseeing facility logistics for all sites; Communicating with team members and families via group meetings, newsletters , email , website, social media and individual meetings; Working with the local high school coaches and summer league coaches to recruit new athletes and further develop and grow PAAC; Submitting team meet entries; Hosting home meets; Participating in the local swim committees of USA Swimming; Assisting with additional practices, fundraisers, office duties, team social events (including team banquets) and summer league clinics; Assisting with the marketing and development of PAAC; Enforcing the rules and regulations of PAAC and USA Swimming; and, Any other tasks reasonably assigned by the Board. Salary: Salary will be commensurate with experience. PAAC will pay for USA membership, professional development, and annual attendance at clinics. There is potential for additional income by expanding and/or growing the program. Candidate Qualifications: The successful candidate will have 5+ years of coaching experience with a track record of assisting or directly coaching athletes that have reached the National level. All candidates should possess a minimum of ASCA Level 1 certification, current USA Swimming coach certifications in good standing, as well the required background checks (a report of criminal history from the Pennsylvania State Police, a certification from the Pennsylvania Department of Public Welfare and an FBI fingerprint clearance). A Bachelor’s Degree in a relevant field is strongly preferred. Candidates should have experience that illustrates strong management skills, communication and motivation skills, team building and community involvement. Interested applicants should forward a cover letter outlining interest in our organization along with coaching philosophy and values, a resume, at least three references and salary requirements. Please apply via email to paacswim@hotmail.com. Candidates must be available for travel to Allentown. PAAC will reimburse 100% of travel expenses to all candidates. Applications will be accepted until position is filled. To learn more about our club, please visit our website at www.paacswim.com. Job Responsibility – Assistant Age Group Coach Coaches will be responsible for between 9 – 15 hours of on-deck coaching per week, and may attend 1 weekend meet per month. Hours will depend on groups and coach availability. Assist other coaches as needed within FSA, and communicate regularly with counterpart group coaches. Plan, prepare, and conduct team practices in accordance with the FSA curriculum. Recommend practice level placement and changes for all swimmers in currently in practice groups and in one group below current training group. Desired Qualifications: High School / College Degree (preferred) Desire & passion for developing swimmers at a competitive level. Patient and gives simple instructions. Strong communication, organizational, and administrative skills. Expertise with current technique development and training methodologies. Enthusiastic and highly motivated team player. ASCA Level 1 certified or above Team Unify /Hy-Tek Meet/Team Manager skills (A Plus) 2 years competitive swimming experience (preferred) Current CPR, First Aid, Coaches Safety, and Safe Sport certifications and membership in good standing with USA Swimming.